dealing with the loss of a loved one is so hard. far harder than one could imagine. everybody means differently to everybody else. for some a friend, for some others, even more closer - a wife, a parent, a sibling, a son/daughter. to each their own, to some - many. hard to believe it was 3 sundays back that we spent an evening with a very dear friend's parents. an evening of good food, of talk, of fond memories and remembrances. few people she didn't remember/mention, or that's how it felt. people from tens of years back, some from the last few. friends, strangers, neighbours, parents, children, grand children... so many people whose path crossed theirs. the friend and i mostly listened that evening. their elderly, cheerful voices recounting good times and the occasional words of wisdom. an evening we'll remember forever - for us and for those who weren't around. felt guilty and under-deserving that the evening deserved an audience who were closer and to whom she meant far, far more than the two of us. they deserved to be around that evening. really did. she passed away that saturday, unable to sustain a third heart attack in as many days. a cardiac arrest just hours after taken off life support. a grim reminder that life is so fragile. that every moment you live is a moment spent, it matters and is impossible to reclaim. that life has no "undo". every word said is said, every action taken is taken, every moment spent is gone. be grateful for the past times and wishful for the future. to sum up in one sentence: switzerland is *amazingly* beautiful. breathtaking scenery everywhere around. it's hard to find a frame that isn't scenic or good looking. 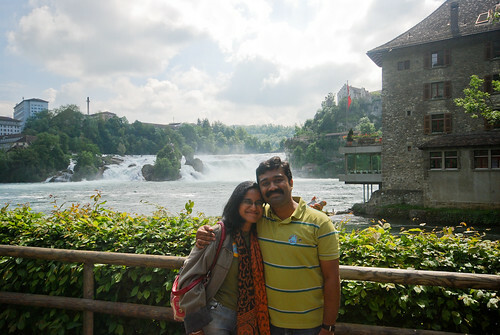 in all we visited three cities in switzerland (zurich, interlaken and luzern) before moving to paris. as always, there are a ton of photos and uploading all of them in one go would be pretty stupid. so i've divided them into each city we visited. as always, please comment on the pics! Tirumala Tirupathi Devasthanams. All rights reserved.